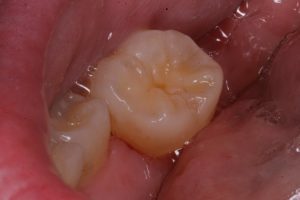 Mint Clinic Wisdom teeth/wisdom teeth removal, what are the signs and symptoms? Yes! In addition to being deeply situated, they are often covered by a flap or tag of gum, known as the operculum. No! Each tooth should be assessed individually and judged on its own merits, other measures are available to control the problem and may be appropriate in your case. Removal of wisdom teeth is an operation and like every other operation has side-effects and complications and usually involves the placement of one or more sutures (stitches). No! It depends on the type and difficulty of the impaction and other factors. The figures below are based on several studies and give some idea of the frequency.